Winter Pastels: Thumbs up or down? Londoners and their Yellow Duck! Cheers to a dreamy weekend! Bow Blouses: Thumbs up or down? A Healthier Way To Phone Chit-Chats! Winter Velvet: Thumbs up or down? Lately I’ve been thinking about personal style and what makes it unique. As much as we try to follow trends, it’s all about those tiny tweaks we apply that make even the simplest outfit our own. The biggest challenge is to make it look extremely effortless, almost careless but very put-together at the same time. Actually, my friend Josie calls it sprezzatura. It’s an Italian word used to describe that 'something special' we do to our outfit so it becomes an extension of our body. Italians call it the rehearsed spontaneity and the well-practiced naturalness. So today, I asked a few of my dear friends to share a handful of tips on how to achieve sprezzatura in no time. The only thing to remember is not to use all those tweaks at once and make the ones you love stick. First up (above) roll up those sleeves in a messy way just on it’s own, over blazers or even together with cardis. 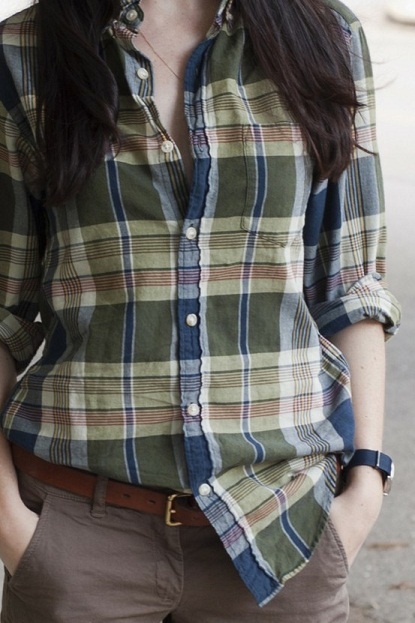 Experiment with a full, half or slouchy shirt tuck. See which one suits your frame most and stick with it. Don’t forget to apply the same rolling rule to pants. 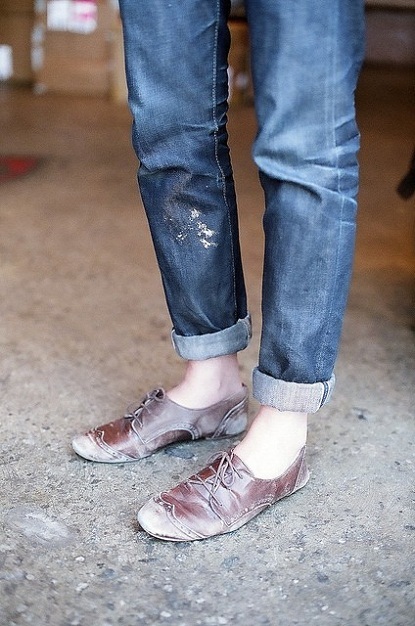 Let your ankles shine in those ballerina flats. Play down the formality of pencil skirts, chiffon skirts and suits with simple tees or tennis shoes. 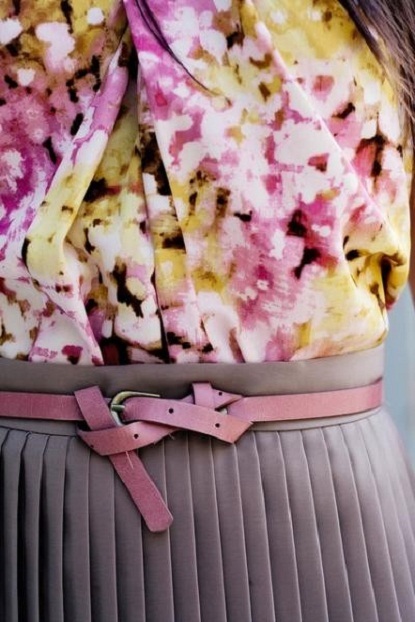 Forget about the traditional way of belt tying and get creative. 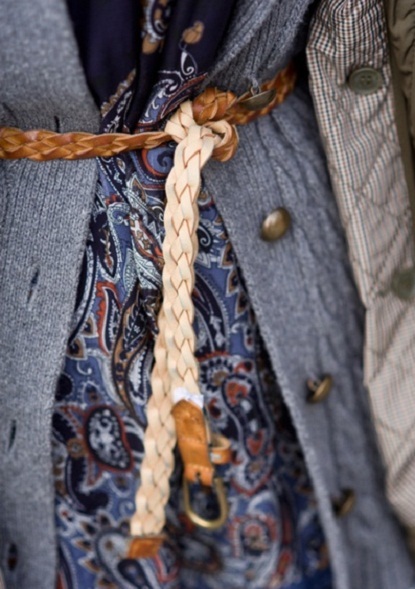 A great tying technique can make an outfit look incredible. 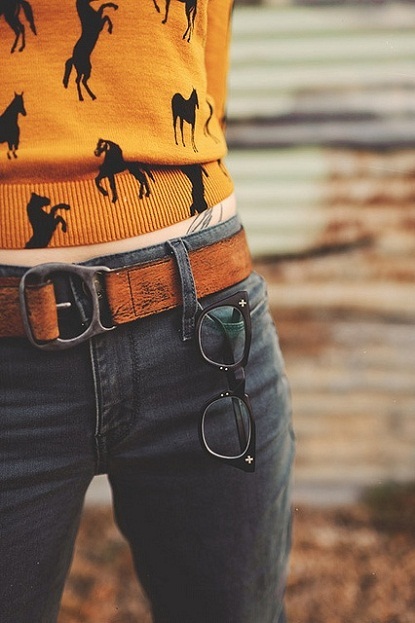 And last but not least, if you are brave enough, accessorize to perfection with a pair of geek-chic glasses or a fun little anklet, but only if it feels right. And remember less it always more. What do you think of those tips? Would you use any of them? It's so important to have a little sprezzatura and stand out from the rest! 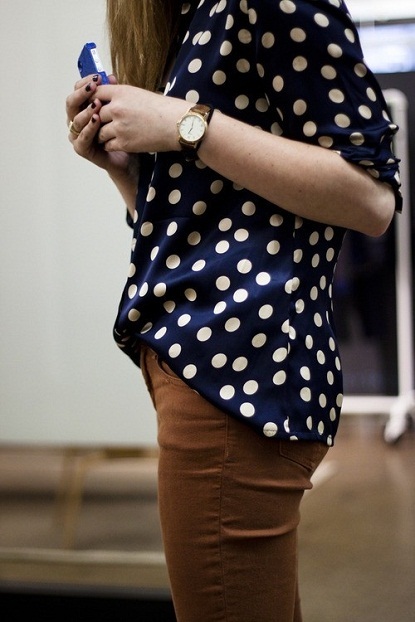 Gosh, I love all of the polka dot looks! Hahahaha, I actually kinda do all of these! Such cute ideas though! P.S. I'm going to Paris in a week and a half randomly and if you have any tips (that is if you have been) let me know! 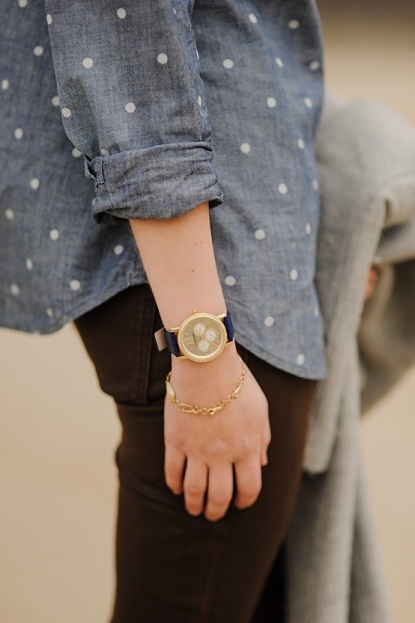 I know the feeling, Just Another Shopaholic:) I am so in love with all things dotty right now. I just got a navy blue dotty sweater. Also, I would totally recommend spending an afternoon around Montmartre.It's one of my favourite places in Paris. Love the first shirt! So relaxing and cool. Love this post, Diana! 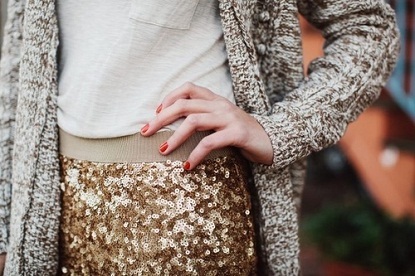 I always try to have an touch that throws off the predictability of an outfit! Love all these tips. I always loved fashion as a teen but was too afraid to experiment - now in my late 20's though I get truly excited (silly as it sounds) to get dressed in the morning and play around with who I want to be that day. It's so much fun! I LOVE your comment, Lauren and I totally agree! It's so much fun to play around and try different things.